So you know when you’re reading textbooks, and they have those little boxes to the side with extraneous information? Say, you’re reading about the revolutionary war, and there’s a little box about Quilting in Colonial America? Or you’re reading about the landing on the moon and you find an aside telling you about Walter Cronkite? They’re the little bits of information you could probably skip over, because they’re not crucial to the main point of the chapter, but reading them usually helps create a more detailed backdrop in which to understand the story. Well, if my life were a textbook, somewhere buried in the chapters on childhood, there’d be a little box about whip-poor-wills. I realize that in some parts of the country, you may not know what a whip-poor-will is, much less, why in the world I’d bother chasing one. So let me elaborate. It’s 1988, (mmmm, showing my age here) and we’ve just moved to a new town, (actually we live a few miles outside the city limits, so technically we’re in the country.) It’s summer, pre-internet, cell phones, cable (at least in the Berry house, there are only three network channels) the sun has just officially set (it’s twilight) and there’s no street lights; just darkness and house lights. The attic fan is blasting, pulling warm, gusty, breezes through open windows, and I’m lying in bed wearing my cotton, Disney, t-shirt nighty, rocking the restless its-way-too-hot-to-fall-asleep/not-sleep of the kindergarten-crowd; and that’s where I first remember hearing it. When I think about summer in my childhood, I think about firefly’s, I think about June bugs, I think about blankets of humid heat (I grew up in Missouri) I think about attic fans, and I think about whip-poor-wills. The thing is, I caught firefly’s, I swatted and squirmed away from June bugs, I wore the humidity like a woolly summer parka, and the attic fan was one of the most soothing sounds I can think of (besides the blessed breeze it ushered with it…) but I never once saw a whip-poor-will. For years the only picture I had was one that my parents snapped in our driveway… with 80’s camera flash illuminating a small shadowy-beast on gravel. (That’s a good name for a painting, if ever I heard one…) but I never saw one in person. Even now, I’ve never seen one in person. Their song, however, was so consistent and familiar in my childhood that… I named my blog after whip-poor-wills. So I started a WordPress blog; I knew I’d need to pick a name. Typically, I have kinda an Anne of Green Gables, romantic, obsession with names. I think they’re really important. So I got stuck on the name bit for a few days…I had a list of about four options (one involved gestation of an elephant), but eventually, I landed on the one that was… hardest to spell. Nothing romantic. I just liked the way it sounded. So, for the romantic interpretation? Living an exquisite life is a lot like chasing whip-poor-wills. Most of the time, you’re totally wandering around in the dark. You spend a lot of time following things on total faith… just because you heard it… but you haven’t actually seen it with your own eyes. What you’re chasing can be highly elusive… you may have to wander through forest to find it, and most of the time you’ll have to get away from people for a bit before you get on the right track. But it’s not all bad, because ultimately if you’re willing to commit to the pursuit? You’ve already entered into the land of adventure. Even if you never see the silly bird? You’re still gonna discover all kinds of really interesting things you would never discover if you didn’t begin. 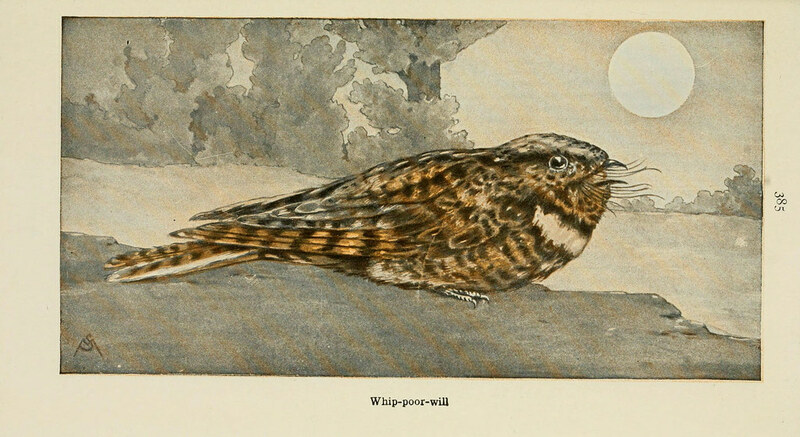 Since beginning in 2010, I’ve slowly transitioned Chasing Whippoorwills. It’s not simply a place where I play with the internet, write a few things, and post pictures. More and more, it’s becoming an intentional place where I offer field notes from my own journey, specifically in regard to wellness and theology. The truth is, health, nutrition, wellness, fitness? They’re not actually as straight forward as we may be led to believe. Nutrition information changes on an almost hourly basis (along with most science) and so whether you’re following the call to wellness, trying to untangle ridiculous and complicated health challenges, or if you’re seeking answers to core questions that frequently collide with every aspect of our lives (because despite popular belief, you can’t actually separate the physical from the mental and spiritual)? Whatever it is that brings you here, I will tell you straight… there is an ambiguity to this journey. There’s also the promise of adventure. Personally, I wouldn’t have it any other way. Oh, and by the way? If you manage to catch one in the daytime? They sound and look like this. Yes, they have whiskers, and yes, they kinda look like a seal-bird hybrid… but they sound soothing, ey? Chase on Whippoorwills, chase on.